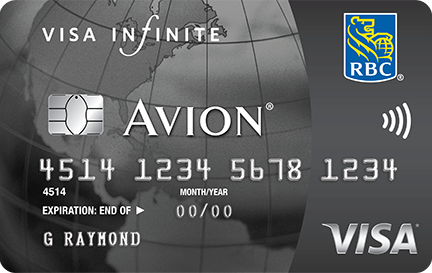 The RBC Avion suite of cards is one of a few major programs that runs primarily on a fixed redemption chart for redeeming points for flights. What that means if you aren't familiar with the concept is that you redeem a fixed amount of points for a flight from one specific region to another. This takes a page from traditional frequent flyer programs where they have set redemption levels for flights regardless of the actual ticket price. RBC's Avion chart basically runs the same way albeit they do place maximum ticket values for each redemption level. 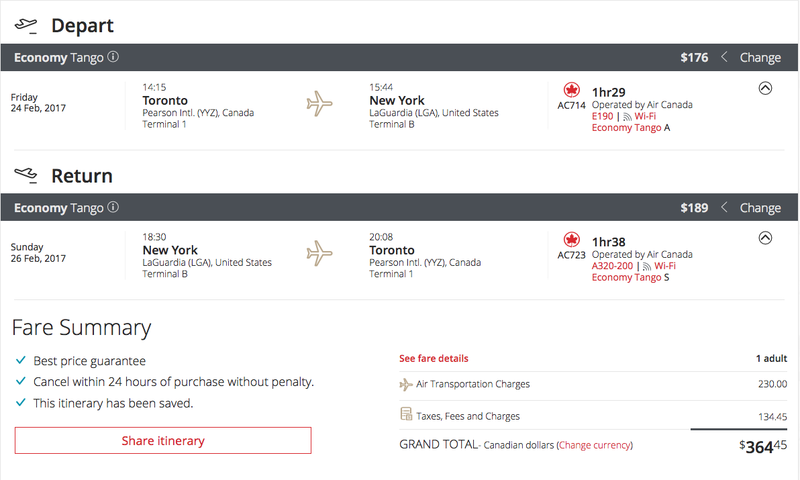 When you redeem RBC Rewards points via the Avion chart you ideally want to redeem for tickets that are near or at that maximum ticket value so you can maximize the return on your spending. We'll now look at some example ticket prices and corresponding RBC Rewards points redemption rates to give you an idea of what is a good value redemption and what may be considered poor value. We say 'may be' as we also need to abide by our own mantra that a redemption that makes you happy is a good redemption no matter what value you get. So this post is more for those of you who are value maximizers and love to run numbers! These numbers are based on holding the RBC Avion Visa Infinite Card with points earning at 1 point per dollar spent. Travel must originate in Canada or the U.S.
As you can see the flight is $364.45 in total but the 15,000 RBC Rewards points will only cover the base fare of $230, you'll still have to cover the $134.45 with cash or points. $230 for the 15,000 points is a 1.53% return, not bad but could be better! You'll have to shell out an additional 13,445 points if you want to cover the taxes and fees with points. Total points 28,445 or a return of 1.28%. As you can see the flight is $428.66 in total but the 15,000 RBC Rewards points will only cover the base fare of $344 (almost at the max!) You'll still have to cover the $84.66 with cash or points. $344 for the 15,000 points is a 2.29% return, now that is a good return! You'll have to shell out an additional 8,466 points if you want to cover the taxes and fees with points. Total points 23,466 or a return of 1.8%. As you can see the flight is $1113.86 in total but the 65,000 RBC Rewards points required will only cover the base fare of $1000. You'll still have to cover the $113.86 with cash or points. $1,000 for the 65,000 points is a 1.53% return. Again a so-so return. You'll have to shell out an additional 11,386 points if you want to cover the taxes and fees with points. Total points 76,386 or a return of 1.46%. 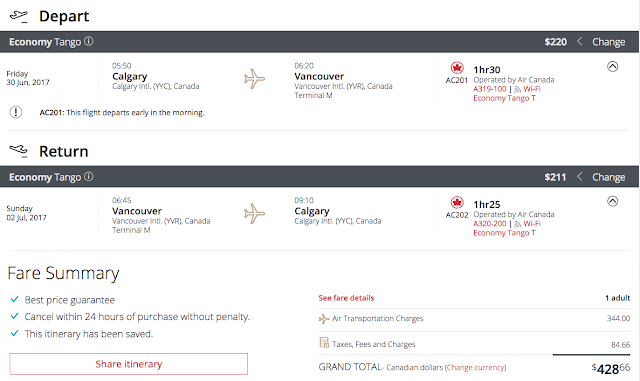 Vancouver to Sydney for March break! As you can see the flight is $2068.69 in total but the 100,000 RBC Rewards points required will only cover the base fare of $1845. You'll still have to cover the $223.69 with cash or points. $1,845 for the 100,000 points is a 1.85% return. That's a decent return. You'll have to shell out an additional 22,369 points if you want to cover the taxes and fees with points. Total points 122,369 or a return of 1.69%. Note that all of our calculations do not take into account the Visa Infinite Avion's increased earn on travel purchases, all numbers are based upon earning 1 point per dollar. Depending on how much you spend on your card for travel you will see your return increase on all of our numbers above. You can also increase your return with the RBC Avion Visa Infinite Privilege card as that will earn 1.25 points on every dollar spent. In the Australia example above if you have the Privilege Card your return before taxes and fees would be 2.3% which is really good! Here is a breakdown of each category, the maximum ticket price and the return you get at that maximum ticket price. Essentially you'll want to get as close as you can to each of those maximum ticket values to ensure you are getting the best value out of the points you have earned on the Avion card. While we do still believe in our mantra that any redemption is a good redemption as long as you are happy (see our piece on The True Value in Reward Redemptions) if you are about getting the most value out of credit card rewards you'll want to set a cut off between actually paying cash for a flight or using your RBC Rewards Points. Personally, if I did have this card I would make the cutoff 0.3 points below the maximum ticket value returns listed above except for short haul which I would go as far as 0.6 points. Essentially if the ticket price worked out to a 1.7% return or higher I would redeem points for the ticket but under that amount I would pay cash and save the points for another redemption. Also if you are a maximizer you won't want to use your points for the taxes and fees as that is only a 1% return. Rather save them for another ticket redemption and pay cash for the taxes/fees, well charge it your Avion card so that you earn points on it. To be honest with you if you just want to redeem at anytime and aren't about numbers (ie pushing the maximum ticket value) you are better off with a different rewards card like the Capital One® Aspire Travel™ World Elite MasterCard® or the mbna Rewards World Elite MasterCard as you know you'll always get a 2% return on travel and aren't subject to the Avion 14 day booking rule, maximum ticket price and lower value of points for covering taxes and fees or the portion of the ticket price that exceeds the maximum ticket value. Of course there is another very good option to the RBC Avion cards that can justify having this card and that is because it is a hybrid card. It is this hybrid option that keeps the card in our Top 5 Overall cards for Canadians. Hybrid means you can also convert the RBC Rewards Points you earn to airline frequent flyer programs like American AAdvantage, British Airways Executive Club, Cathay Pacific Asia Miles and WestJet Rewards. With frequent bonuses for transferring points to these airlines you can frequent pull out value well over 2% on the redemptions from those programs. 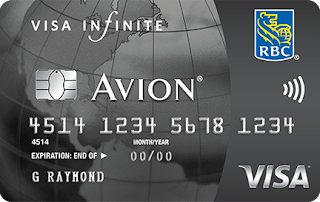 Do you have the RBC Avion card? Are you a maximizer with card always trying to push that maximum ticket limit or do you not care and redeem for flights whenever you can? We'd love to hear your comments!